I just became a BIG lover for makeup and I test out almost every product there is. I feel as though you don't have to stick to just one product out there and it definately has to be EXPENSIVE. Buy what you can afford. Yes everyone nowadays love there MAC, Sephora, Naked, and NARS make-up products but they can too be on the pricey side at times when are pockets are on a bugdet. I certainly do not have a make-up bag full of your latest MAC make-up or NARS.. I mostly have drug-store or Walmart beauty products in my handy dandy make-up pouch. So today I am bringing this blog to most of you who are on a budget, don't want to spend a whole lot on your make-up but still have good quality, or just getting started in the make-up game. So here is MY notice I said MY top 5 Walmart beauty product brands..
1. 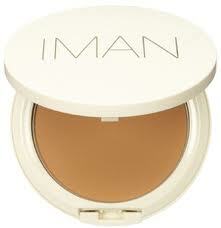 Iman Pressed Powder ($13): I love Iman Pressed Powder simply because there are many shades to pick from for every skin complexion. It keeps my skin in perfect condition and keeps the oil away. The pressed powder goes on smoothly with my skin. It is simply just amazing!I also love it because it does not need many touch up like most pressed powders out there. 2. Revlon ColorStay Foundation ($10): I rarely wear liquid foundation but if I had to choose one it would be Revlon ColorStay because it enhances my skin's natural radiance and and it gives my make-up look that extra 'kick' that I like. This foundation blends so well its just incredible. This foundation is so light that you face will not feel piled up with make-up. 3. 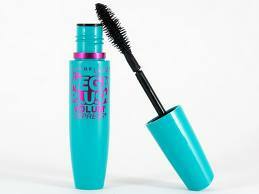 Maybelline Volume Express Mega Plush ($6): This mascara is an everyday use masacra! I do not wear eyelashes but this mascara makes it look like I do simply because it gives you that extra volume and length. 4. 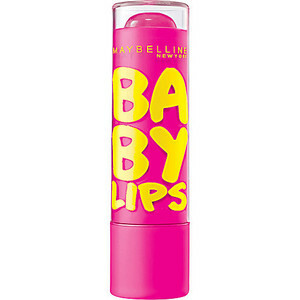 Maybelline Baby Lips Moisturizing Balm ($3): I absolutely love this lip balm because it keeps your lips moisturize and does not dry right up like most lip balms; which I HATE! you can choose from two clear or four tinted shades. This lip balm really does what it says... IT GIVES YOU BABY SOFT LIPS. 5. Essie Nail Color ($8): If anyone knows me I am a lover for nail polish and Essie is one of the best!